How does money figure into a happy life? At the heart of this groundbreaking perspective, Portnoy takes readers on a journey toward wealth, informed by disciplines ranging from ancient history to modern neuroscience. He contends that tackling the big questions about a joyful life and tending to financial decisions are complementary, not separate, tasks. • How is the human brain wired for two distinct experiences of happiness? And why can money “buy” one but not the other? • What are the touchstones of a meaningful life, and are they affordable? • Why is market savvy among the least important sources of wealth but self-awareness is among the most? • How does one strike a balance between striving for more while being content with enough? This journey memorably contours along three basic shapes: A circle, triangle and square help us to visualize how we adapt to evolving circumstances, set clear priorities, and find empowerment in simplicity. In this accessible and entertaining book, Portnoy reveals that true wealth is achievable for many - including those who despair it is out of reach - but only in the context of a life in which purpose and practice are thoughtfully calibrated. 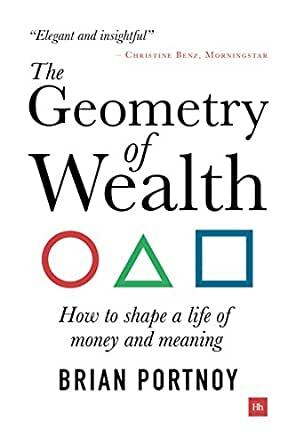 "In The Geometry of Wealth, Brian Portnoy has used his incredible talent for translating financial drudgery into simple, accessible, and entertaining prose to help us re-define our satisfaction with money. He has written a book that will leave you truly wealthier for reading it." "The Geometry of Wealth walks you through what really matters in our relationship with money. In clear language, simple enough for my kids to understand and sophisticated enough for professionals, Portnoy gets to the heart of the issue. And that’s the point - our relationship with money is about what’s in our heart and what troubles our mind. Geometry brings it all together in a framework that every reader can follow to live a more contented life." "Managing one’s money is an emotionally fraught job, and comes with a confusing lexicon to boot. Is it any wonder so many individuals devote less time to their personal finances than they do planning their next vacation? Brian Portnoy’s The Geometry of Wealth makes a bracing assertion: it doesn’t have to be this way. In this elegant and insightful volume, he imparts the crucial message that building “wealth” isn’t strictly about money, but finding the intersection between our life’s purpose and the funds needed to achieve it. It’s essential reading for serious and novice investors alike." 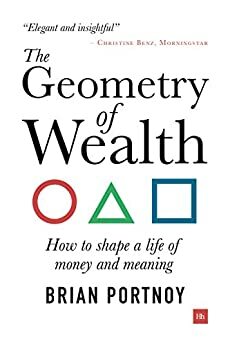 "In The Geometry of Wealth, Brian Portnoy has done something wholly unique and framed the conversation around money in a manner never before previously considered. Using a simple framework to make profound points, Dr. Portnoy has crafted a work that is simultaneously educational and poignant. For those looking to revolutionize their approach to money and even life, this book receives my highest recommendation." Portnoy’s The Geometry of Wealth is an ensemble of profound wisdom, written in a clear and inviting format, that will inspire anyone who is looking to take responsibility for their own finances and wealth. It masterfully blends psychology, neuroscience, and economics - along with the author’s own professional background in investing - to demonstrate that the power to create wealth starts from within. It inherently takes a ‘coach approach’, built on self-reflection and enquiry, while offering a goal-focused, practical framework, for actionable insight. I will definitely be recommending this book to any business leader or coach helping their clients through the stages of career and life planning. At last, a book on managing one’s own finances, in a way that is both accessible and personal! "Good books about money are few and far between. Great books about money – which provide useful investment analysis and helpful personal insight presented powerfully and engagingly – are as rare as a bad investment by Warren Buffett, largely because the universe of terrific writers with the academic power and practical experience to write such a book is vanishingly small. 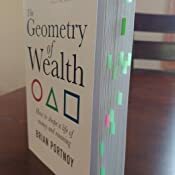 The Geometry of Wealth is a great book about money because of who Brian Portnoy is, what he knows, and how well he writes. Don’t miss it." 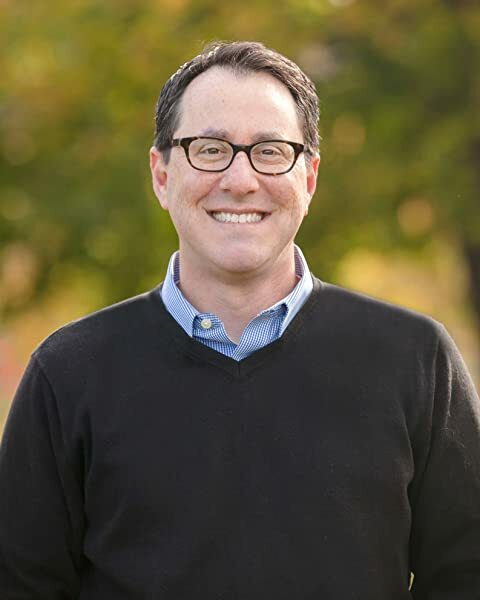 Brian Portnoy, PhD, CFA, is an expert at simplifying the complex world of money. In his two books, The Geometry of Wealth and The Investor&apos;s Paradox, he tackles the challenge of not only making better investment decisions but also how money figures into a joyful life. 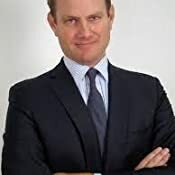 He is currently the Director of Investment Education at Virtus Investment Partners and has spent the last 25 years as educator, investor, and strategist. He holds a doctorate from the University of Chicago and currently lives on the north side of Chicago with his wife and three children. It is a good book, that covers a lot of waterfront. I was really drawn to a lot of the discussion of happiness and satisfaction in life. The four C's really resonate with me. Connection. Control. Competence. Context. I think a whole book could (and should, Brian) be written about that and delving a little deeper with some actionable ways to increase these in one's life. The geometry of the shapes added some complexity for me that I did not think added a lot of symbolism or helpful connection. As a financial professional very familiar with all of the finance and investing concepts in this book, but I do think a lot of the points are very relevant for most audiences. If you are a doctor for example, I think you should read this book. The chart on page 152 and the discussion of the narrowness of stock market winners is really the most fascinating part for me from an investment perspective. It is hard to believe that over a 90 year period, only 4% of companies explain the net gain for the entire US stock market! This is really good. Brian has written a really thought-provoking work, so very different from other efforts to define how to grow and remain wealthy. He offers the term "funded contentment" in thinking about wealth specific to every individual's own circumstances and desires. He then sets forth a playbook on how to think about what matters, setting priorities, making decisions, thinking probabilistically, regret minimization, and striking a balance between more and enough. And in between you'll find insights from De La Soul, DuFresne, and Dostoyevsky, Marx, Marks and Munger, and so much more. With more individual responsibility for our own financial futures than ever before, and with brains hardwired to make lousy financial decisions, this book offers insights for a wide range of potential readers. A look into the relationship between money and meaning. Portnoy suggests that wealth and investing are about funding contentment and underwriting a meaningful life, as defined by you. Not about getting rich, having "more," and losing yourself on the hedonic treadmill. He explains that simplification is the path towards effectively managing expectations in money and life–and the trajectory of a happy life is shaped by expectations. The Geometry of Wealth is as practical as it is philosophical. À la Charlie Munger, Portnoy emphasizes individual behavior, mainly self-control and self-awareness, as the most important factor in investment success. He suggests we focus on being "less wrong" over being "more right," in the sense that asset allocation is far more important than security selection and market timing. But he also takes a deeper look at experienced happiness, reflective happiness, expectations, and human nature which adds an entire extra dimension to this fascinating book. 5.0 out of 5 starsThe book challenges the reader to think - and feel - about the role wealth plays to one's own meaning of life. As much a 'spiritual' as a 'personal finance' book, "The Geometry of Wealth" connects the feelings of wealth with the creation of wealth. The book challenges the reader to think - and feel - about the role wealth plays to one's own meaning of life. 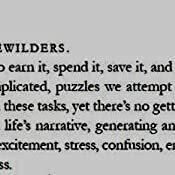 Brian succinctly and understandably shares behavioral economics/biases with a step by step system to consciously understand them as well as methods to overcome them: Circle - connecting money and happiness, Triangle - prioritizing money, Square - simple is better, but not easy. I would highly recommend "The Geometry of Wealth" to both those in the financial industry as well as anyone wanting to understand the deep connection money has to how they feel. Brian has a gift for making the complex sound simple. His new book is sophisticated, readable, insightful, and full of wisdom. Concepts like wealth = funded contentment and rich = the insatiable quest for me) are novel and deeply truthful. This is a masterpiece that I wish I had in my hands 20 years ago (but am glad I do now to learn what I needed to know then). A great read for...well...everyone - individuals seeking meaning in money, professionals thinking through what matters in investing, and even my mom and dad. Thanks for this Brian. I recently sold my business and decided I need to increase my understanding of investing and how to make money with my money. The message of this book came as a bit of a (good) surprise as it set the context for wealth (funded contentment) rather than focusing on money and financial terminology and options, which even this books describes as complex and overwhelming. This book helped me establish a cornerstone for continuing my wealth in this next phase of my life. I highly recommend it to anyone who wants to understand money and achieve happiness and meaning. This is a fantastic read and goes a long way towards unpacking the emotional baggage around money and wealth. Portnoy is not only a recognized expert in behavioral finance but is also a fantastic writer. His style is engaging and enjoyable and he is able to make traditionally concepts easy and manageable. I never thought I would say that a book on wealth and money would be hard to put down - but this was! Most books on personal finance deal solely with the usual concepts around maximizing wealth. This book takes it a significant step further and discusses what wealth means and how to think about it in the broader context of life. I will share copies with my parents as well as my kids.